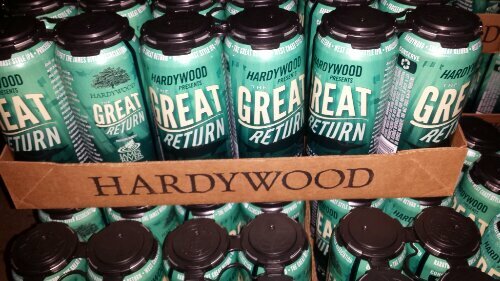 Hardywood is debuting their latest canned beer, The Great Return, a West Coast Style IPA, this week. You’ll start to see the new beer around town soon but here are a couple events to consider. Bold, resinous and bursting with bright grapefruit aroma, this IPA is a tribute to the decades of hard work by conservationists to restore the James River as a bounty of vibrant aquatic life, eco-friendly recreational activity, and in our case, fresh brewing water. These efforts have culminated recently with the symbolic return of the endangered Atlantic Sturgeon, a prehistoric, yet majestic behemoth of a fish, spotted as far up the James River as the fall line in Richmond. Let’s celebrate! $10 from every barrel of The Great Return produced will be shared with the James River Association. Enjoy other Hardywood drafts as well as appetizer specials as you talk with representatives from Hardywood and James River Association. At 7PM, head over to Conch Republic for the check presentation to the James River Association. 16 oz. 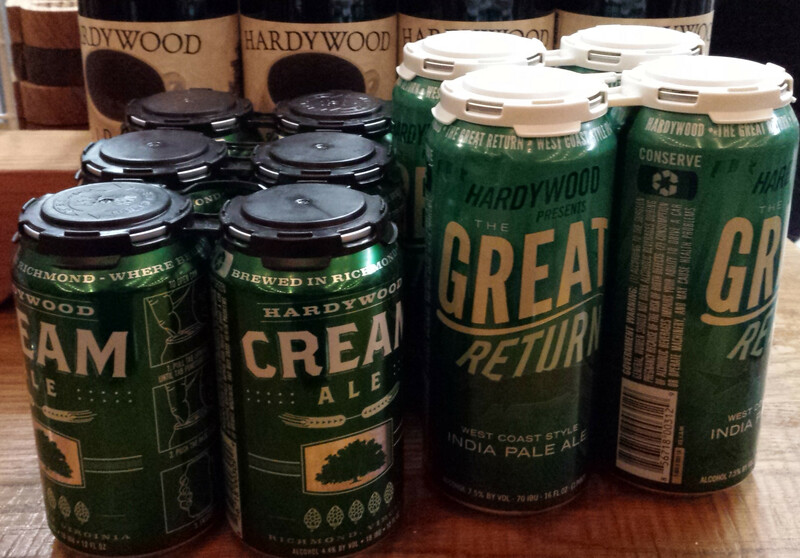 cans of The Great Return and other Hardywood drafts available. Dinner specials. If you didn’t know, not only is Hardywood assistant brewer Nick Danger Walthall a great brewer, he is also a pizza fanatic. 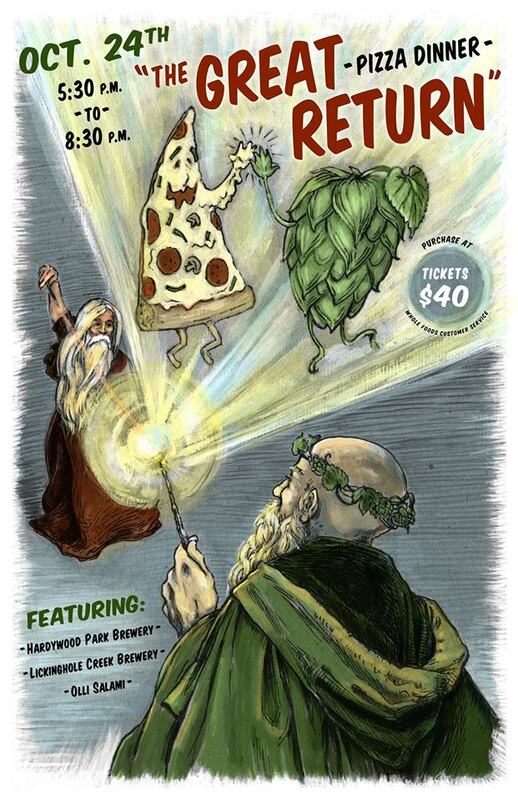 He has teamed up with Whole Foods Short Pump for The Great Return Pizza + Beer Dinner. Nick has let his imagination run wild with pizza toppings and beer pairings to create a truly unique menu. The cost for the dinner is $40/person. Seating is limited so make your reservations today by calling Whole Foods at (804) 364-4050. I was able to sneak in a visit to COTU Brewing as they canned Ray Ray’s Pale Ale with Old Dominion Mobile Canning. If you listen closely, you can hear co-founder Chris Ray describe part of the process. Cans of Ray Ray’s and Main St Ale will be available at the brewery today June 1st from 3 – 9pm. You will also be able to find them in Richmond area shops very soon.